Give over thine own willing, give over thy own running, give over thine own desiring to know or be anything and sink down to the seed which God sows in the heart, and let that grow in thee and be in thee and breathe in thee and act in thee; and thou shalt find by sweet experience that the Lord knows that and loves and owns that, and will lead it to the inheritance of Life, which is its portion. 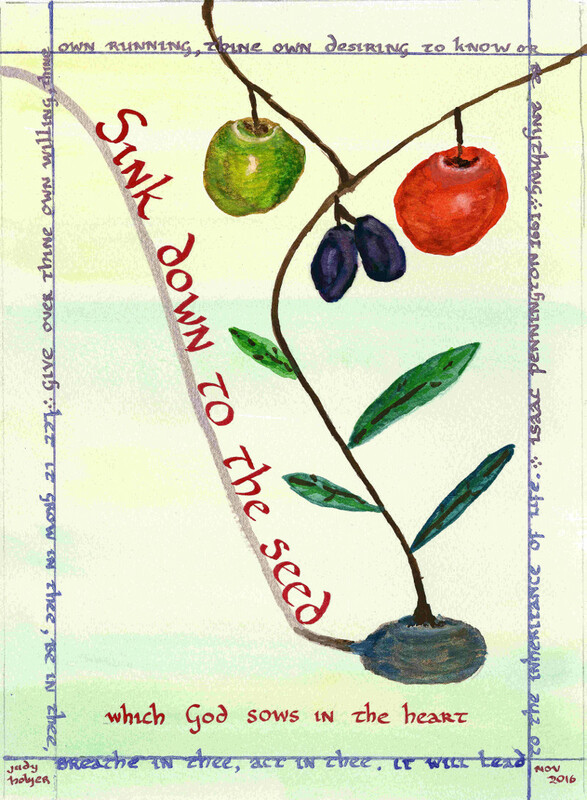 I like to think it shows the fruit of the spirit arising from the seed, becoming more developed as time passes. 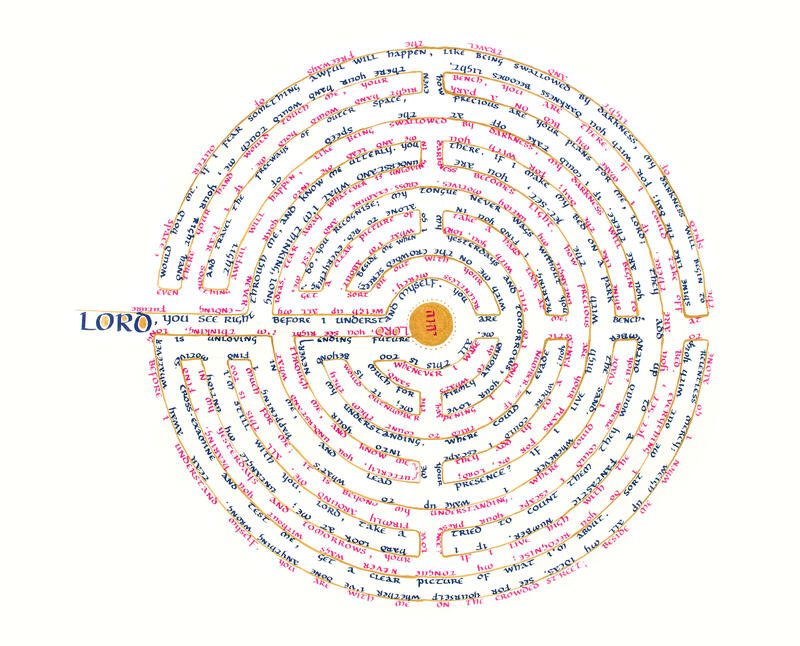 I am also an avid labryinth lover, which led to me using my mathematical skills to inscribe Psalm 139 around the Chartres labyrinth. I cannot go to the Quaker study centre without a daily walk around its garden labyrinth.